57 posts categorized "Bread Baking Adventure"
We kicked off gelato season at the cafe a couple of weeks ago and my mind is occupied by developing recipes for gelato, sorbet, and ice-cream since. Inspiration comes to me non-stop and I can barely keep up with turning these ideas into frozen treats to enjoy. It is hard to pick favourites but I am partial to a few: miso caramel, matcha with caramelized white chocolate, cinnamon with fig compote & candied walnuts, lemon meringue, black sesame, and espresso with espresso caramel are my current top picks. With the heavy emphasis on sweets in my professional life, I crave savoury food more than ever on my time off. It doesn’t help that I am not so keen on spending long hours at my home kitchen either. I often find myself stare longingly at bags of chips in supermarket. Oooh, not good. Not good at all. I need to find some quick savoury snacks to make at home that would not result in hours of guilt. I love the deeply satisfying spicy kick of kimchi but I have a low tolerance for heat. If I could, I would totally snack on bowls of kimchi with nothing else on the side. Rice is of course the default accompaniment but I rarely feel the craving for a bowl of rice. But I do love bread! Enriched bread is my guilty pleasure. Made with white flour and enriched with eggs, milk, and butter, it is the dessert of bread family. It doesn’t necessarily have the complexity of sourdough or the depth of crusty country bread. But I love its unpretentious appeal. Challah and brioche are equally tempting. 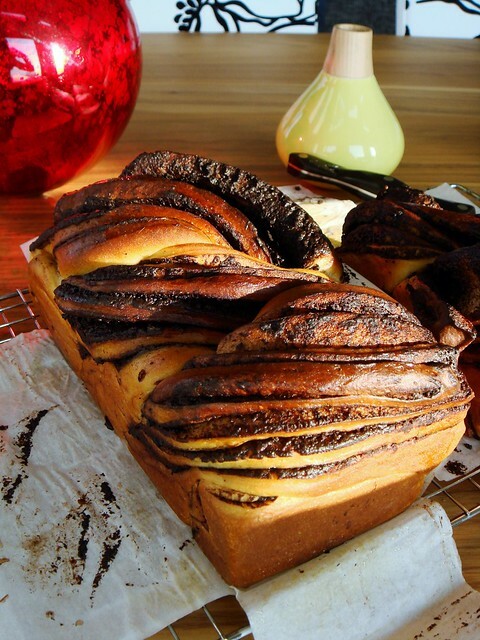 I can never say no to a slice of coffee braid or chocolate babka. 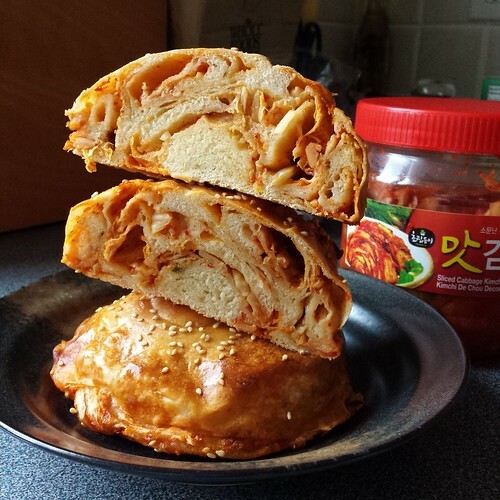 However, I always have a soft spot for soft pillowy Asian-style sandwich bread. I love the perfectly square slices thanks to baking in a pullman loaf pan. I love the whisper thin crust that yields to fine white crumb I can tear into threads. I love the subtle taste of fresh dairy from the famous Hokkaido milk bread variation. Although it is perfect for sandwiches, I enjoy eating it unadorned more than anything. 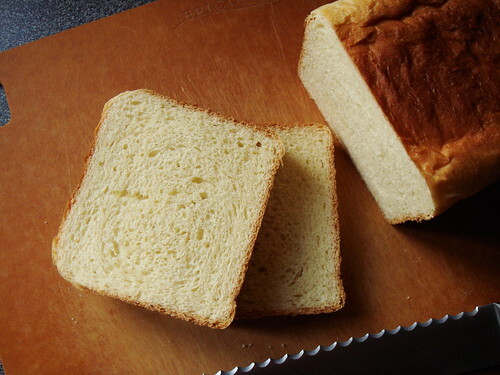 One of the keys to Asian-style sandwich bread success is the use of roux as part of the starter. When the cooked flour swells to gel-like substance, it lends an incomparably soft texture to the finished loaf that stays fresh for days. Thanks to food52 and Two Red Bowls, I finally was able to make this favourite treat at home. Many of us experienced Pinterest Disappointment before. You come across an enticing pin. You carefully follow the recipe. What you end up making looks nothing like the exquisite original that caught your attention in the first place. 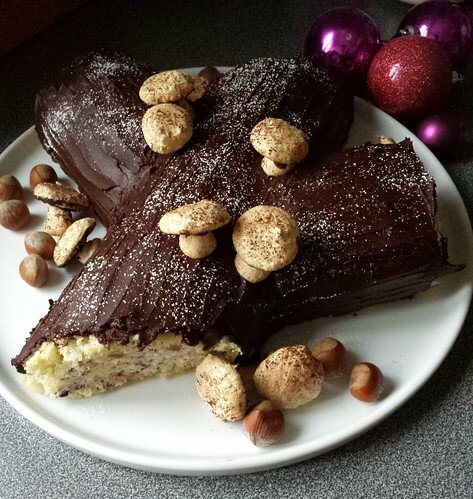 You question your own ability and you doubt the integrity of the recipe. In the end, you feel like you wasted precious time, effort, and ingredients. Do you let out a deep sigh and move on or do you try to figure out what went wrong? 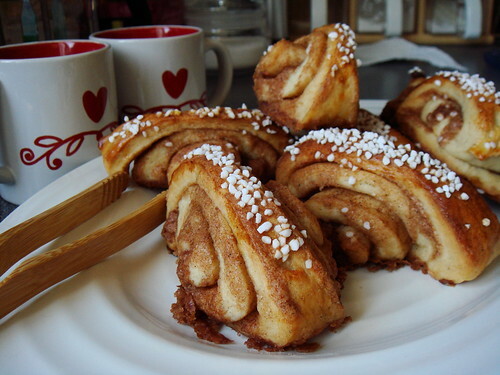 I experienced all of the above when I tried to make Finnish cinnamon roll korvapuusti last week. Full disclosure: I did not follow the recipes exactly. Combining the recipe from The Kinfolk Table , My Blue And White Kitchen, and my own bread baking experience, I thought it would be a straight-forward treat for Sunday brunch. I was wrong. Race season will officially kick off for me in less than two weeks with the first major marathon road race in Wisconsin. After all the ups and downs for the last two years, I am thankful to be able to race once more. In May 2012, after returning from 5th place at World Master Championship in Damp and stepping on the podium for a race in Nordsee, I began a string of crashes which ultimately culminated with my first concussion. It was a harsh test in my personal life and athletic career. Two years later, I am far from being back in my top racing form but things are slowly coming together. I am making small progress at every training session. I am sure there will be more setbacks in my future, that is just a fact of life. However, in order to give myself the best chance of succeeding a goal which I hold dear for years, I think the time has come to make some changes. For years, I have been posting three times a week regularly at Dessert By Candy. I appreciate the opportunity to expand my horizon. Your support inspires me to keep cooking and writing. Unfortunately, the time demand is competing for my attention in training. I do not want to lose my passion in either by letting them become chores. Cooking will always be a big part of my life and the joy I get from sharing delicious meals with loved ones is incomparable to anything I do on skates. However, for the time being, the best course of action is to keep regular blog updates on a less frequent basis. I hope you understand. Today I want to share with you a little something I bought at IKEA, emporium of some-assembly-required. I am always fascinated by the small grocery section just beyond the checkout lines with the exotic Scandinavian sundries. This is where you’ll likely find the best price in town for blocks of marzipan. 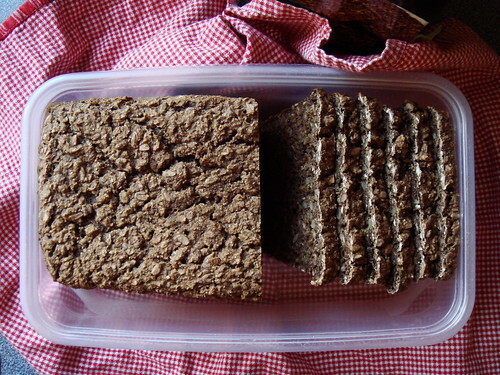 For Swedish expats, the traditional multigrain bread hold special appeal. Of course keeping supply of fresh bread in a furniture store is unrealistic. Thankfully, IKEA has an elegant answer that comes neatly packaged in a carton. Since I took a Strudel 101 workshop last December, I cannot get laminated dough out of my mind. What is laminated dough? That’s just fancy speak for flaky pastry like puff pastry, croissant, and danish with hundreds layers of alternating butter and dough. I attempted kouign amann a few weeks ago with mixed result and I feel that I cannot lay my obsession to rest yet. 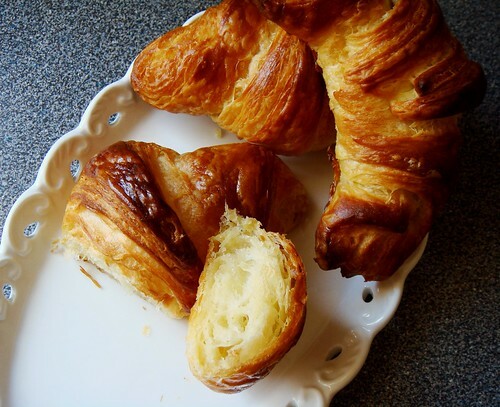 Over the Victoria Day long weekend, I took advantage of the time off and followed Cook’s Illustrated 10-hours recipe for croissant (the step-by-step photos are pretty helpful too if you’re new to laminated dough). I figured I should troubleshoot my kouign amann by first taking out the complexity of caramelizing the pastry. That would mean I was left with croissant master dough. Since I was not short on time, I could allow my dough to chill and rest according to the recipe’s recommended schedule. I quickly finished my breakfast first thing in the morning, rolled up my sleeves, and made the lean yeast dough. When you combine high butterfat butter, duck eggs, pastry cream, and dark chocolate, only good things can happen. One of my tasters just asked me “are these good for you?” while holding a brioche au chocolat in one hand. I recited the list of ingredients in sing song voice and said “nothing that you cannot pronounce, right?”. As far as treats go, these buttery buns filled with pastry cream and dark chocolate are worthy candidates. They may not be wholesome like fruit and vegetable. But I would pick homemade brioche au chocolat over potato chips any day. I had the urge to make brioche since last week but the warming weather suggested my craving was misdirected. Although the kitchen remained cool enough to work with copious amount of butter, it felt wrong to turn on the oven. 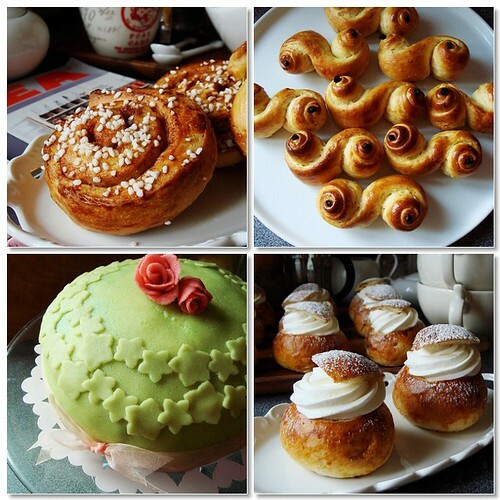 I distracted myself briefly by looking at no-bake dessert recipes but I could not get brioche out of my mind. Last night I finally came up with a justification. I wanted my house to smell nice when the insurance agent arrived for home inspection. Freshly baked bread ranks right up there along with apple pie as my choice of home fragrance. I’ve known for a long time the extra oomph duck eggs add to baking. Cakes are loftier and custard is richer. 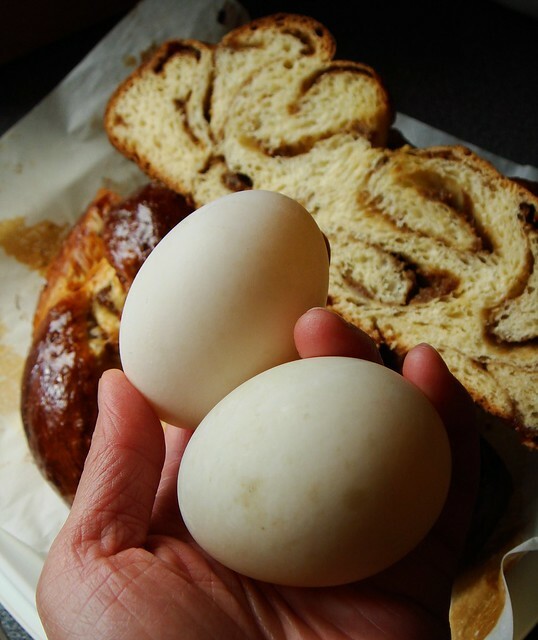 Why did I not consider using duck eggs when baking bread too? I needed to find out after coming across a discussion thread which pretty much concluded “best challah you ever had”. Of course challah is a great candidate. 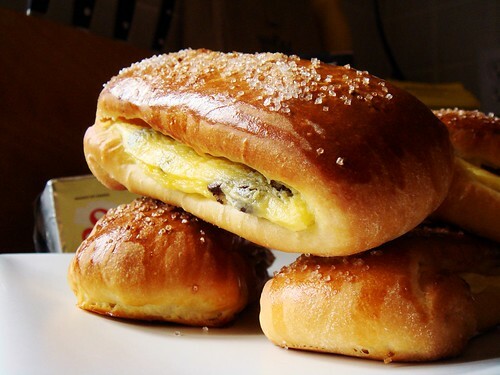 Along with brioche, they fall into the category of enriched bread that depends on eggs, fat, or milk to tenderize the texture and enhance the flavour. Lucky for me, spring is the perfect time to spot duck eggs at farmers markets. I bought a half dozen with dreams of the eggiest of all eggy challah loaves. I turned to smitten kitchen’s tried-and-true recipe for Fig, Olive Oil And Sea Salt Challah. I made it once before with great success. The non-traditional combination won me over immediately. The decision was made extra easy with my family-size opened bag of organic dried figs from Costco too. My previous success gave me confidence to make a double batch of this recipe even with my duck egg experiment. One ginormous braided boule for me, one ginormous braided boule for a friend.